Sure, it was an accident. But the blaze killed his mom and set his dad on a path to self-destruction. Everything else about that fateful night is full of gaping holes in Theo's mind, for good reason. Maybe it's better that way. 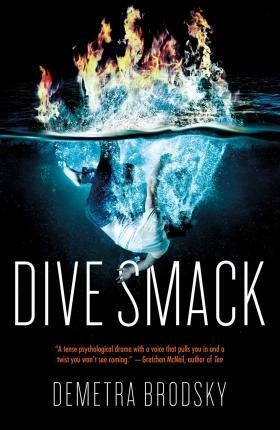 As captain of the Ellis Hollow Diving Team, with straight A's and solid friends, he's only one semester away from securing a scholarship, and leaving his past behind. But when a family history project gets assigned at school, new memories come rushing to the surface, memories that make Theo question what he really knows about his family, the night of the fire, and if he can trust anyone--including himself. "The story combines intriguing elements, so that just when readers may think it is headed in one direction, it shifts or pulls from a new genre...Readers looking for an adolescent psychological thriller will not be disappointed." -- Voya, Meghann Meeusen. DEMETRA BRODSKY is an award-winning art director and designer turned writer. She has a B.F.A. from the Massachusetts College of Art and Design and lives in Southern California with her family of four and two lovable rescue dogs. Dive Smack is dedicated to the Monarch Butterfly she once saved from the brink of death.